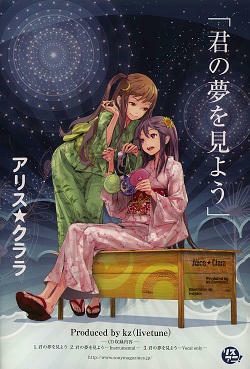 ClariS is a Japanese pop music female duo consisting of junior high school students Clara and Alice. First known as ｱﾘｽ☆ｸﾗﾗ (Alice☆Clara), ClariS began singing covers of mainly songs featured in anime and songs originally sung by Vocaloids, and submitting them to the Nico Nico Douga video sharing website between October 2009 and June 2010. 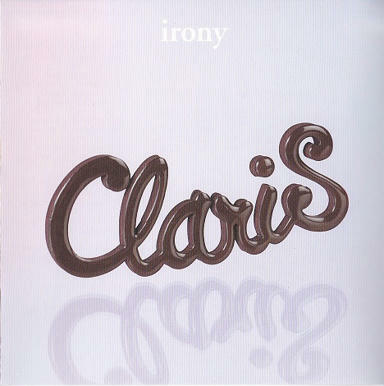 In September 2010, ClariS was signed to SME Records and released their debut single "Irony" in October 2010, which was used as the opening theme to the anime Ore no Imōto ga Konna ni Kawaii Wake ga Nai. 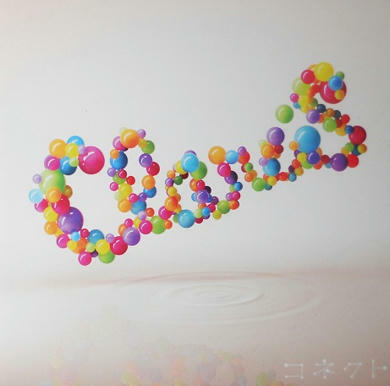 ClariS released their second single "Connect" in February 2011, which was used as the opening theme to the anime Puella Magi Madoka Magica. 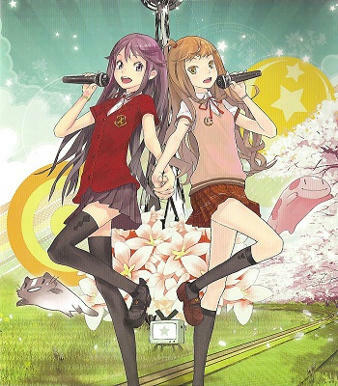 In order to put a priority on their schoolwork, ClariS have not released photos of themselves to the public, and instead have employed illustrators to draw their likenesses.Images of the crescent moon are used as a motif to represent Clara, and the sun is used to represent Alice, which comes from their personal preferences. akan di coba secepatnya. . .
barusan nonton Ao Ex ada iklan Single-nya yang baru 'Nexus' hari ini rilis lho, ada yang udah dapet?